While on our honeymoon in 2001, we were enjoying an early passeggiata; taking a stroll, arm-in-arm, down the stone streets of Sorrento, Italy. Almost accidentally, we extended our journey to an adjacent commercial area of town frequented by actual residents rather than tourists. 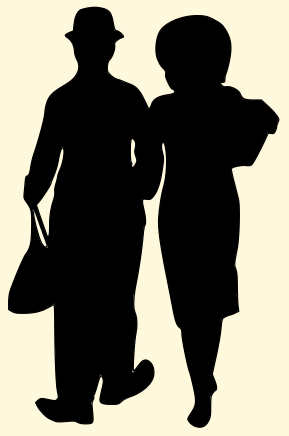 We talked of finding a new name for our business and agreed that our inspiration would surely appear when the time was right. At that precise moment, a flurry of automobiles and Vespas zoomed past us, and there was a sudden absence of traffic. Judith saw across the street a glimpse of an antique store filled to overflowing with a jumble of dusty, exotic treasures. A small handpainted wooden sign, black letters against a white background, was nailed above the large shop window. It simply declared "Antico" and humbly included the lyrically Italian name of the proprietor. 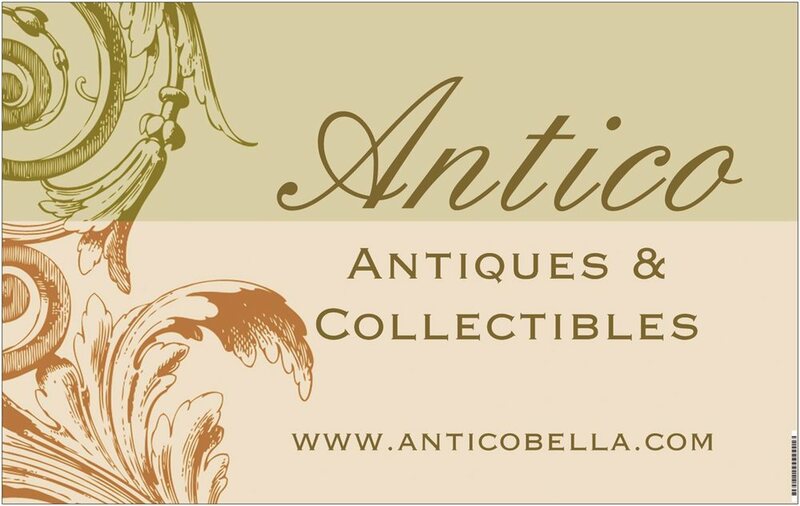 Peering at the simply lettered sign and recognizing that we had found a kindred collector, we decided "Antico" would be the name of our own antiques and collectibles business in America. Of course, we spent a long time carefully combing through every nook and cranny of the packed antique shop, much to the amusement of the shop owner and his friends. All men, they clearly were in the habit of using the establishment as a sacred gathering place in which to discuss and passionately debate all matter of topics, including the tourists who stumbled across their threshold. The selling of antiques was merely a cover, as evidenced by the quizzical look of surprise when we presented our chosen treasures for purchase. In the spirit of adventurous discovery in the ancient town of Sorrento, Italy, we encourage you to practice declaring the name of our business with emphasis on the second syllable, as one would do when speaking Italian. Say "ahn-TEE-coh," and maybe even add some passion with a polite gesture of your hands!